Established in 1936, the Sverdlosk Philharmonic has been performing to full houses year-round in Yekaterinburg. Capital of the Urals, the city of Yekaterinburg has grown to more than 1.5 million occupants and is continuing to grow due to its location as a meeting point of east and west. 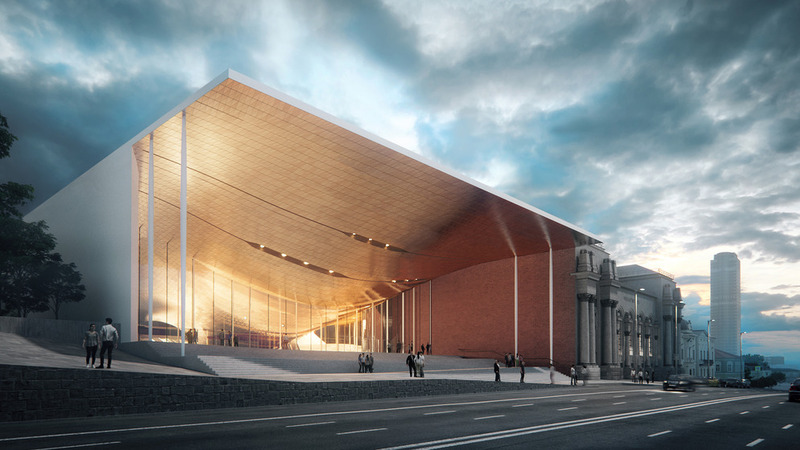 We were part of the team led by Zaha Hadid Architects, which has been announced as the winners of the competition to design the new Sverdlosk Philharmonic Concert Hall. 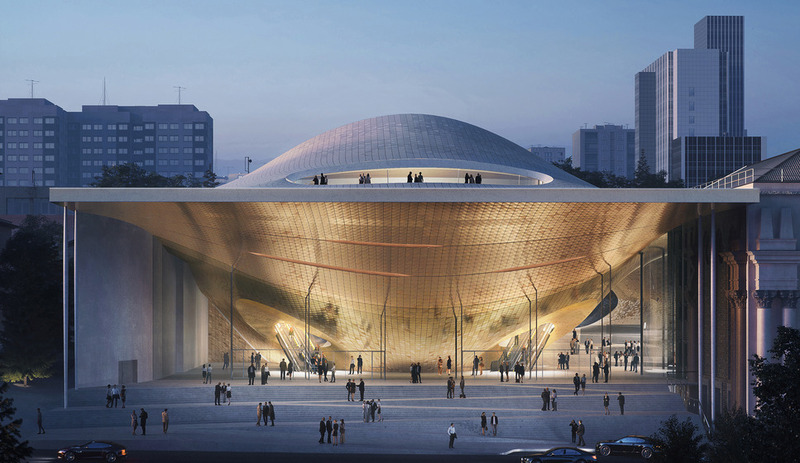 Taking inspiration from the shape of a sound wave, the new building will include a 1,600 concert hall and a 400 seat chamber music hall. Continuing the civic legacy of the existing building, the proposals for the new lobbies are expansive and free of obstruction to allow them to serve as vibrant community gathering spaces. Atelier Ten’s proposals include conditioning and water strategies which minimise the use of natural resources. We are also proposing discrete ventilation systems, concealed within the walls and seats to keep surfaces free of grilles. 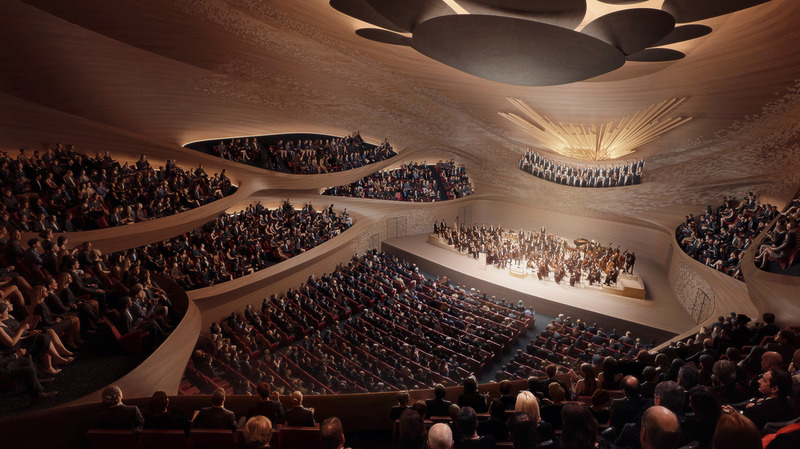 The new performance spaces will meet exceptional acoustic, comfort and energy standards.